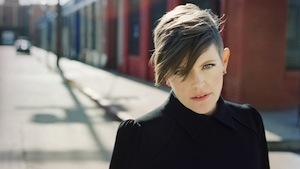 Natalie Maines’ new album comes out May 7. • Natalie Maines’ solo album Mother is streaming on NPR.org. The project, co-produced by Ben Harper, is a collection of cover songs originally recorded by Harper (“Trained”), Patty Griffin (“Silver Bell”), Eddie Vedder (“Without You”), Pink Floyd (“Mother”) and more. • Sirius XM Radio has appointed James E. Meyer chief executive officer. He has served as the interim CEO since December. Yesterday (April 29) the company announced first quarter 2013 financial and operating results, including revenue of $897 million, up 12 percent from the first quarter 2012. Net income for Q1 2013 and 2012 was $124 million and $108 million, respectively. The total paid subscriber base reached a record 24.4 million, up 9 percent from the prior year. • MTV debuted a docu-series about Nashville native Ke$ha last week. Ke$ha: My Crazy Beautiful Life was shot by her brother Lagan Sebert over the last two years. The series airs Tuesdays at 10 p.m. CT.
• Third Man Records will release the vinyl version of the soundtrack to Baz Luhrmann’s upcoming film The Great Gatsby. The soundtrack, executive produced by Jay Z and produced by Luhrmann, features Jack White, Jay Z, Florence + The Machine, Beyoncé, André 3000, will.i.am, Fergie and more.